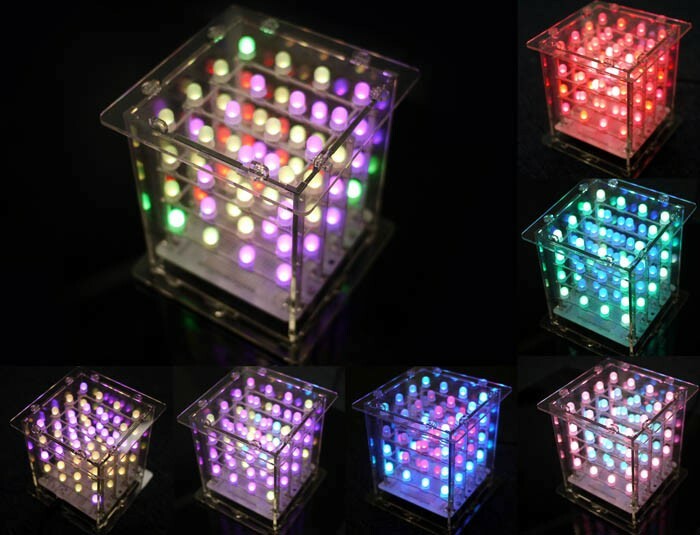 Rainbow Cube is a 3D RGB LED Cube useful for creating colorful design. The 3D Cube is artistically crafted with sixty-four 8mm RGB LEDs arranged in a 4 x 4 x 4 manner. Rainbow Cube can be used to create many beautiful visual effects with A Rainbowduino. 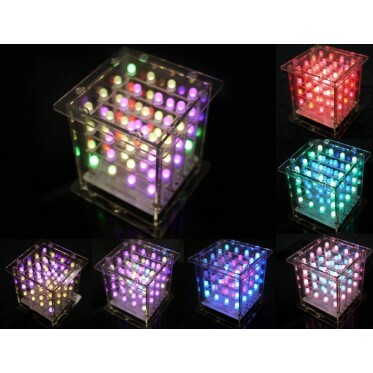 Rainbow Cube is a 3D RGB LED Cube useful for creating colorful design. The 3D Cube is artistically crafted with sixty-four 8mm RGB LEDs arranged in a 4 x 4 x 4 manner. Rainbow Cube can be used to create many beautiful visual effects with A Rainbowduino. The Rainbow Cube comes with an inbuilt 3.3V / 1 Amp LDO useful for powering the independently. A XBee compatible socket is provided as well, this can be used to connect Rainbowduino with a PC or an Arduino wirelessly. This kit requires no soldering and comes pre-assembled with a Rainbowduino (Arduino-compatible) LED driver controller. Just plug it in to your PC or Mac, grab a copy of the free design software, and youll discover just how easy it is to program this spectacular device and see the results in real time.